The basic objective of this course is to acquaint the students with necessary mathematical tools and statistical techniques to be used in business decision making processes. This course contains introduction to statistics, classification and presentation of data, measures of central tendency, measures of dispersion, Skewness, kurtosis and moments, simple correlation and regression analysis, analysis of time series, index numbers, probability, sampling and estimation, quantitative analysis, determinant and matrix . Meaning, scope and limitation of statistics, Importance of statistics in Business and Management, Types and sources of data, Methods of collection of primary and secondary data, Precautions in using; secondary data, Problems of data collection. Data classification (need, meaning, objectives and types of classification); Construction of frequency distribution and its principles; Presentation of data: Tabular presentation; Diagrammatic presentation: Bar diagram, Pie diagram; Graphic presentation: Histogram, frequency polygon, Frequency Curve and Ogive (Illustrations related to Business and Management). Mean: Simple and Weighted (Arithmetic Mean, Geometric Mean and harmonic Mean), median, partition values, mode, Properties of averages, choice and general limitation of an average. Absolute and relative measures, Range, Quartile deviation, mean deviation, standard deviation, coefficient of variation, Lorenz curve. Meaning, objective and measurement of Skewness, Karl Pearson’s and Bowley’s Method; Five Number Summary, Box-Whisker Plot; Kurtosis and its measurement by Percentile method; Meaning of moments, Central and Raw moments and their relationship; Measurement of Skewness and Kurtosis by moment method. Karl Pearson’s correlation coefficient including bi-variate frequency distribution, coefficient of determination, Probable Error, Spearman’s Rank Correlation coefficient; Concept of Linear and Non-linear regression; Simple linear regression equations including bi-variate frequency distribution, Properties of regression coefficients. Meaning, need and components of time series. Measurement of trend: Semi-average, moving average, method of least squares; Measurement of seasonal variation: Method of simple average and Ratio to moving average. Cost of living index number (Consumer’s price index number): Aggregative Expenditure Method and Family Budget Method, Base shifting and Deflating. Conditional probability and Baye’s Theorem. Meaning of sample and population, census versus sampling, Sampling Techniques, Concept of Sampling distribution, standard error, Estimation, estimator; Concept of types of estimates: Point and Interval. Introduction to quantitative analysis; Application of management science: Scientific approach to decision making, Decision making under the condition of uncertainty and risk, Expected Profit, Expected Profit with perfect information and Expected value of perfect information, Linear Programming Problem: Problem formulation with two decision variables, Graphical solution of Maximization and Minimization problems. Definition of determinant, Methods of finding the numerical values of determinant upto three order, Properties of determinant and its use to find the numerical values of determinants, Cramer’s Rule to solve simultaneous equations up to three variables. Gupta, S.C., Fundamentals of Statistics for Management, Himalayan Publishing House, Bombay. Tulsian, P.C. & Pandey, Vishal, Quantitative Techniques: Theory and Problems, Pearson Education, India. Shrestha, S. & Amatya, S., Business Statistics, Kathmandu : Buddha Academic Enterprises Pvt. Ltd. Sharma, P. K. & Silwal, D. P., Business Statistics, Kathmandu : Taleju Prakashan. 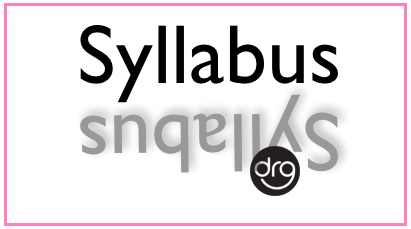 0 Response to "Complete Syllabus of Business Statistics | MGT 202 | BBS 1st year (4 Years)"